Many researchers have been focused their work to find ways to live better with a better health, and increase the life expectancy. Some scientists have been studying for decades on the aging process, and on how to improve it. An important article in the August issue of Popular Science magazine caught my attention regarding new findings done by the scientist Dr. William H. Andrews, on Telomeres and Telomerases. He has been interviewed as well on November 7th by Adoley Odunton on the same topic. 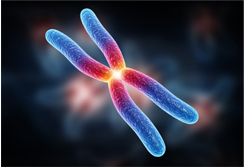 The findings of the telomeres and the telomerase are an important phase in the understanding of the aging process. The telomeres are the ending sections of the chromosomes that shorten through the process of the chromosomes’ replications, and the cells’ divisions. When shortening, the chromosomes lose information in these sections, and it becomes part of the aging process. With these new findings, it shows that the Telomere support supplements can improve our health and aging process if we do our part as well. In the interview, Dr. Andrew mentioned that to slow down the aging process, we need to have healthy habits, such as exercising, eliminating the toxins we accumulate every day, getting all the vitamins, minerals and nutriments, and living in a positive environment. After having read more about the role of Telomeres and the Telomerases in the aging process, I decided to add the Telomere support supplements in my daily intake of vitamins and minerals. After four weeks, I started to notice an improvement of my concentration and my memory. It is still at the early stage, and time will tell more about all the benefits we will get from the Telomeres. What I can see now is very promising. If you want to know more about Dr. Andrews interview, go to the following link. You will have access to a page with a form that will redirect you to a link where you can download the Free E-book “Bill Andrews on Telomere Basics: CURING AGING” by Dr. William H. Andrews and Jon Cornell.